Y'all. Christmas is in 10 days. I guess that means it's time for me to actually finish shopping and wrapping gifts, and watching the rest of my Christmas DVDs. I'm also excited to hopefully check out Christmas lights around town this weekend, if it doesn't rain too much. If you're still in the wrapping stage, don't forget to check out my blog post from yesterday, with 20 eco-friendly ways to wrap. 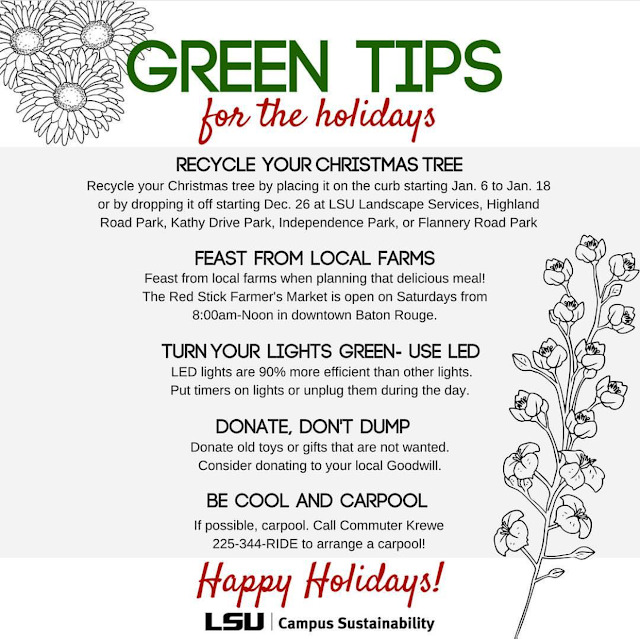 I love these tips that LSU Campus Sustainability shared on Instagram this week - how many of these can you follow this year? 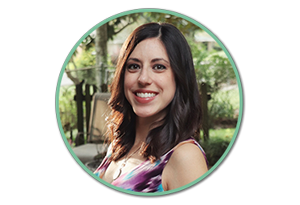 As you wrap up your Christmas shopping, learn how to plan any gatherings and decorate the house without being extra wasteful. Don't throw out all the extra food from your Christmas gathering! Only four more sleeps until Christmas! Holiday travel doesn't have to be wasteful. However you travel, there are easy ways to lessen your environmental impact. Whatever style decor you love, you can adapt to be eco-friendly. From modern to rustic to minimalist, deck your halls with sustainable holly! How are you spending this last weekend before the big day?